MIU MIU once again reinterprets the cornerstones of modern elegance by revisiting the classic derby shoe. Menswear-inspired, the new footwear for F/W 2013 is characterized by the unusual pairing between the different components and masculine proportions. The soles are made of leather and further complemented by black or white rubber lug soles. Designed in polished, metallic or patent leather and matched with asymmetric tips for a sophisticated look. The new derbies are available in black and silver and also in a slip-on version. 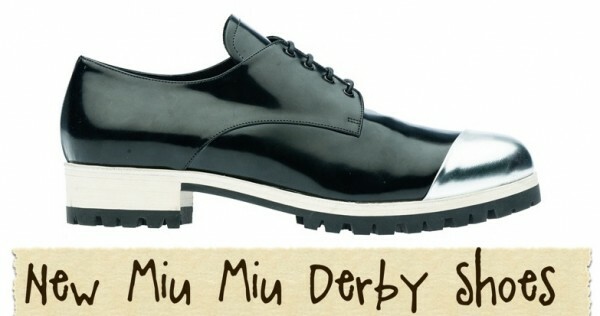 PRE-ORDER THE NEW MIU MIU DERBY SHOES HERE.